Roberta Lee “Bobbie” Marshall, 85, of Hershey, formerly of Butler passed away Friday, August 31, 2018 at her residence from ALS. Born August 21, 1933 in Butler, she was a daughter of the late Francis P. and Thelma A. Plaisted Black. She was a homemaker who fostered over 60 babies through the Children's Home of Pittsburgh. 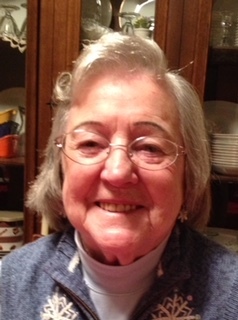 Bobbie was a member of St. Mark Lutheran Church in Butler. She was very involved in her church and volunteered for Katie's Kitchen. She enjoyed dancing and exercising at the Tanglewood Center, Reading and relaxing on her porch swing, camping, especially at Cooks Forest. She was very thankful for friends and her many blessings. She also loved her Lord and Savior, Jesus Christ. Surviving are her four childen: Susan (Ed) Tassey of Butler, Beth (Barry) Titler of Hershey, David R. Marshall of Hilliards and Laura (John “Boo”) Augustine of Butler. A brother, F. Paul (Deb) Black Jr. of MO. A daughter-in-law, Sallie Rumbaugh of FL. Five grandchildren and Seven great-grandchildren. Numerous cousins, nieces and nephews. In addition to her parents, she was preceded in death by her beloved husband, Robert M. Marshall of 38 years, who passed away May 11, 2002. They were married May 9, 1964. Her first husband, William M. Rumbaugh and a son, William J. Rumbaugh.